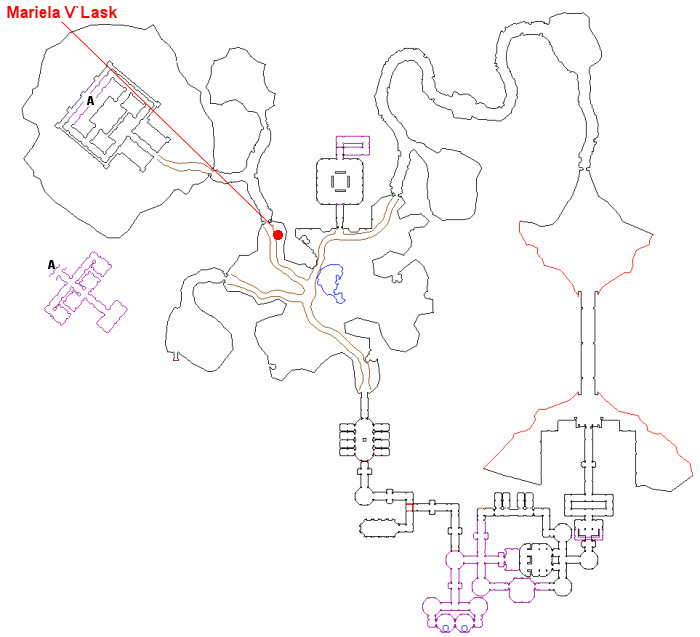 This is a kill task that begins with Mariela V`Lask (click for map) in Neriak Fourth Gate. She's located at 260, -275, 2 (outside the tunnel that leads to the House of the Dead in the city's northwest). You must be in Dark Elf form in order to speak her, otherwise she will brush you off. You have been assigned the task 'Deadly Constructs'. Mariela V`Lask needs help collecting pieces to build her construct. Golem and skeleton bones would be best.